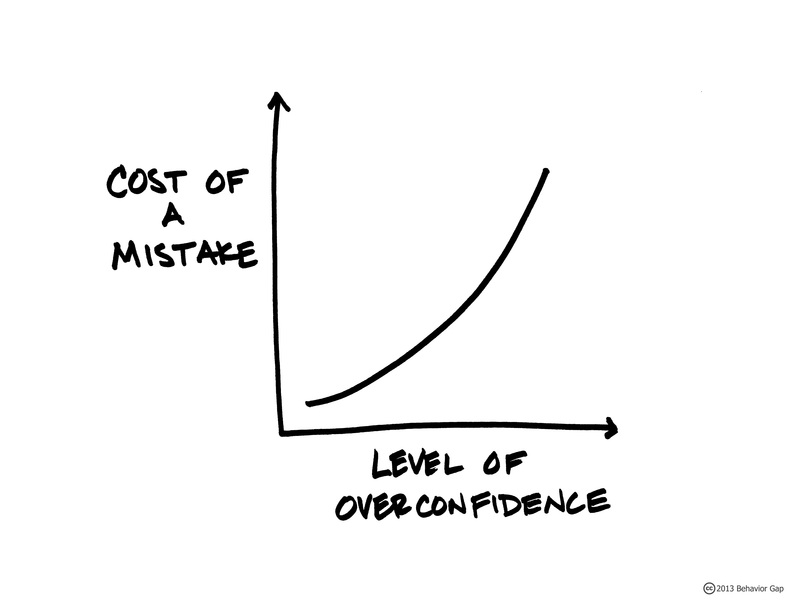 Overconfidence is a very serious problem, but you probably think it doesn’t affect you. That’s the tricky thing with overconfidence: the people who are most overconfident are the ones least likely to recognize it. We tend to think of it as someone else’s problem. When it comes to investing, however, we all have a problem. If I make this change and I’m right, what impact will it have on my life? If I make this change and I’m wrong, what impact will it have on my life? Considering the consequences of being wrong might lead you to make careful decisions and to a greater appreciation of the enormous potential costs.